No one wants dragon’s breath — luckily, there are easy ways to avoid it. We all get bad breath sometimes, but if yours is becoming a chronic issue, you need to get to the root of the problem. For the most part, halitosis — the fancy medical term for stinky breath — just means you need better dental hygiene, but sometimes it signals a more serious medical condition. Here are some potential causes to watch out for. 1. You’re not taking care of your teeth. Bad dental hygiene causes about 85% of halitosis, according to a 2012 study in the International Journal of Oral Science. “Food that is not properly cleared from the mouth serves as a platform for bacteria to latch onto,” says Marc Gibber, M.D. 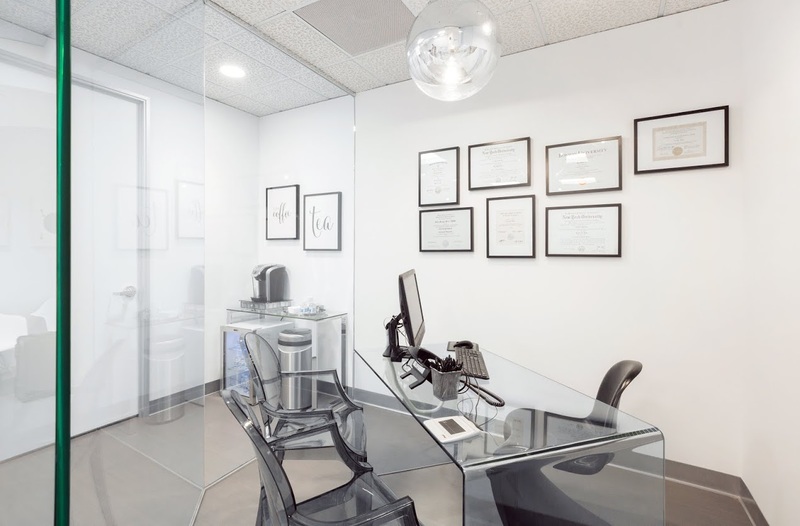 an otolaryngologist (ear, nose, and throat doctor) at Montefiore Medical Center. Since germs like wet, warm environments, if you don’t clean your mouth properly, it can become a cesspool and start to smell — bacteria produce the sulfur compounds that give off that infamous rotten-egg stench. Brush and floss twice daily, and don’t forget to scrape your tongue, too. “These living-without-oxygen bacteria will collect in the back part of the tongue,” says dentist Richard H. Price, an American Dental Association consumer adviser. 2. You’re not drinking enough water. Being dehydrated can make you produce too little saliva, which is a problem because saliva washes away those smell-causing bacteria. “The saliva we produce will keep the cells in the mouth alive,” says Gibber. “When we decrease the saliva, the cells will start to die off.” Dead, rotting cells stink. Drink water: Nutritionists recommend six to eight 8-ounce glasses a day. Green tea helps hydrate, too — and a 2012 Israeli study found the antioxidants in it change some of the sulfur compounds in bad breath. 3. You’re dehydrated because of allergies. People with allergies who can’t breathe through their noses end up breathing through their mouth, which is also drying, says Dale Amanda Tylor, M.D., M.P.H., general and pediatric otolaryngologist in Freemont, Calif. If you have allergies, make sure to treat your congestion — and also hydrate. 4. You’re eating too much of the wrong stuff. 5. You have a sinus or tonsil infection. “Infection can fester in the sinuses,” says Singh, which leads to bad smells. Go to a doctor who can prescribe you antibiotics. Clearing out your sinuses with a Neti pot or Neilmed sinus rinse in a squirt bottle can often help too, says James N. Palmer, M.D., an otolaryngologist and director of rhinology at the University of Pennsylvania. Multiple tonsil infections or cases of strep throat can result in tonsil stones, which arecalcium stones that feel like little pebbles in the back of the throat — and emit a strong odor, says Gibber. The best treatment is an old-fashioned salt-water gargle because the high salt content kills bacteria, says Palmer. Add a tablespoon of salt to six ounces of warm water and gargle with it every morning for two or three days. After the salt rinse, eat yogurt with live active cultures — good bacteria. 6. You have acid reflux. People with heartburn are “burping up stomach acid, and that’s on their breath,” says Keels. It produces an acidic, vinegary smell. “A lot of people just think of reflux as heartburn, indigestion,” says Tylor. “[But] it can even go as high as the sinuses or the ears.” How to prevent it? “Everything good is bad for reflux — alcohol, citrusy things, cinnamon, chocolate,” says Tylor. 7. You have a more serious condition, like cancer. In very rare cases, extremely bad breath can be one of the warning signs of cancer in the nose, ear, neck, or throat. “It’s what we call amongst ourselves the cancer smell,” says Gibber. “It’s a kind of sour, cheesy smell.” People who have been exposed to radiation, such as those with head and neck cancers, make less mucus — which makes their breath smellier. But remember that bad dental hygiene is a far, far more common cause of bad breath, so don’t panic.